This bundle was created with small businesses and agencies in mind. Get 36 planners and give clients when working with them (and of course, use it within your own agency). 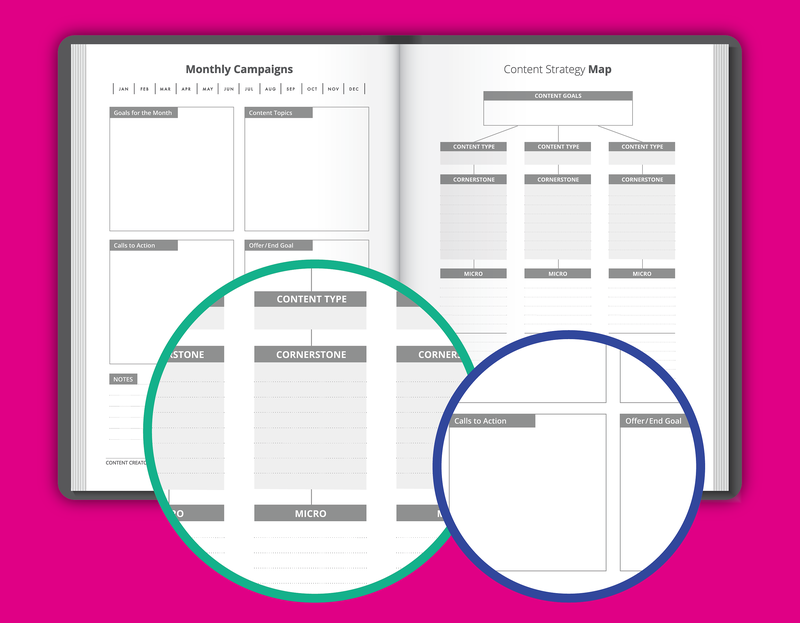 You’ll receive 36 Content Creators Planners, which include a content strategy map, goal planning for your content campaigns, weekly and monthly calendars, content checklists, and monthly and quarterly statistics of all your content marketing campaigns. The Content Creators Planner is a 90-day planner to help you plan, outline, strategize, schedule and measure your content marketing. It was born to solve a problem we all feel as Content Creators. One place to map out our goals, plan our content strategy in support of those goals, decide on the content, get it on a calendar and then measure what’s working.